Developers must provide privacy information or policy in the app, usually an About or Privacy page in the settings charm. Even though your app supports en-US only, you can select all the countries as your markets. en-Us is called certification language that is unrelated to your markets. If your app supports multiple certification languages, you must describe your app in details with each language. 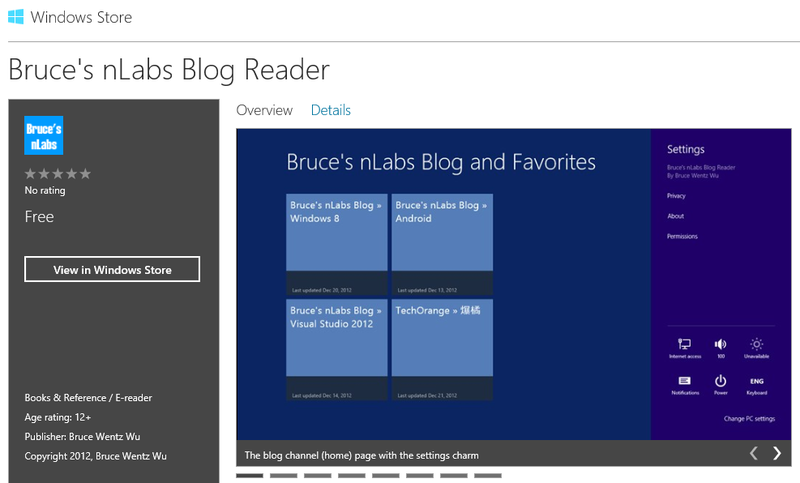 These descriptions will be displayed on the Windows Store based on the user’s location and language. A wizard will guide you to complete this. Take screenshots with the Visual Studio 2012 simulator and follow the image format that Microsoft specified. If your app supports multiple languages, provide enough or the maximum of 8 screenshots to prove your app is fully localized. To sum up, the certification process is quite simple and efficient. Just read the Windows 8 app certification requirements, develop your app based on it, describe your app well and write a good notes for testers so as to communicate your app well and the certification process will be a happy experience.